At the intersection of Lakes Superior, Michigan, and Huron is one of America’s best-kept secrets: Michigan’s Upper Peninsula. Westervelt’s friendly and knowledgeable advice points you to secret waterfalls, breathtaking vistas, excellent trout-fishing, romantic dinner spots, and the best hot pasties in the U.P. It’s like having a Yooper travel companion! Distinctive for their accuracy, simplicity, and conversational tone, the diverse travel guides in our Explorer's Great Destinations series meet the conflicting demands of the modern traveler. They're packed full of up-to-date information to help plan the perfect getaway. And they're compact and light enough to come along for the ride. A tool you'll turn to before, during, and after your trip, these guides include chapters on lodging, dining, transportation, history, shopping, recreation, and more; a section packed with practical information, such as lists of banks, hospitals, post offices, laundromats, numbers for police, fire, and rescue, and other relevant information; maps of regions and locales, and more. Amy Westervelt always spent summers vacationing in the Upper Peninsula, until she moved to Michigan permanently and could enjoy its other seasons as well. 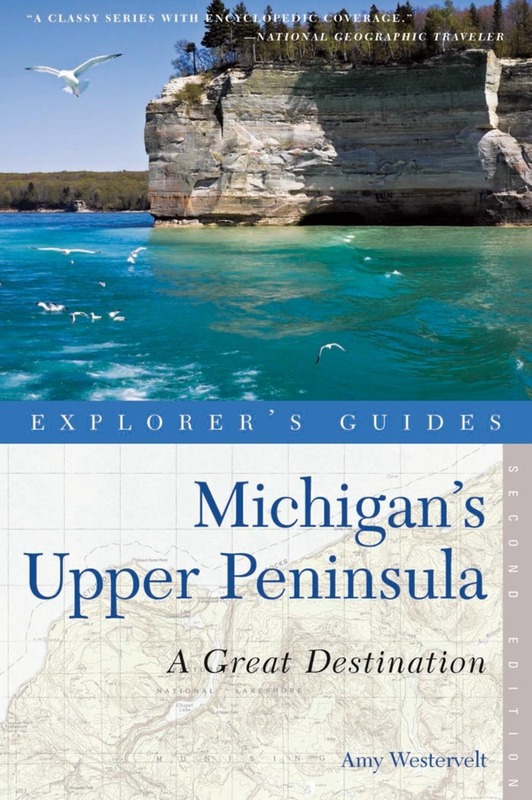 She is the author of Explorer's Guide Michigan's Upper Peninsula and Backroads& Byways of Minnesota, as well several other guides and many articles. Westervelt now lives in Ann Arbor, MI.